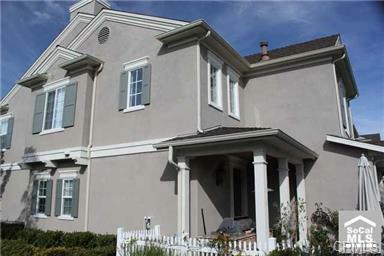 Cindy and Rob are past clients that decided to sell their Ladera Ranch home in November 2006. At that time homes were not selling well but they had a vision to capitalize on market weakness. They knew their home would sell at a discount, but the new bigger home would be discounted even more. Placing incredible faith in my recommendations and ability to get their Ladera Ranch home sold, Cindy and Rob got everything they wanted. A quick sale (for top dollar) and a huge discount on a beautiful view home in Lake Forest California. There were 3 key attributes that these clients had that really made this deal work. 1. They had a vision and could see the big picture. They realized it wasn’t about absolute selling price, but relative selling price. As long as they could get a bigger discount on the sale of their home in Lake forest and give a smaller discount on the sale of their home in Ladera Ranch, they would be adding to their net wealth and lowering their new payment. 2. They had the courage of their convictions. Even though everything didn’t go perfectly smooth for them, they kept the vision alive and put clear sensible boundaries on what they were willing to do and what they would not do. This is not easy to do in such an emotional time. They were not rigid over the small points but firm in what the overall big picture should look like. 3. They hired a real estate consultant. Yes I was their Realtor / real estate sales person, but their commitment to working with me and my commitment to obtaining the best possible outcome for them forged a relationship much stronger. They realized that years of training and thousands of hours working the South Orange County real estate market put me in a unique position to make recommendations that could give them the highest probability of achieving their goals. As their consultant, I put my clients best interests first, and they respected my recommendations. The end result – no hurdle was too big to overcome working as a team. Click on the link below to launch this audio presentation: Enjoy!